Da Couch Tomato: Game of Thrones. Episode 1: "Winter is Coming"
If it looks like Middle-Earth, it's definitely fantasy. I never thought HBO would risk airing something like this. I mean, this is like a TV series for nerds and geeks who grew up playing Dungeons & Dragons (complete with the 20-sided die). This series has been described by the screenwriter David Benioff as "The Sopranos in Middle-Earth". 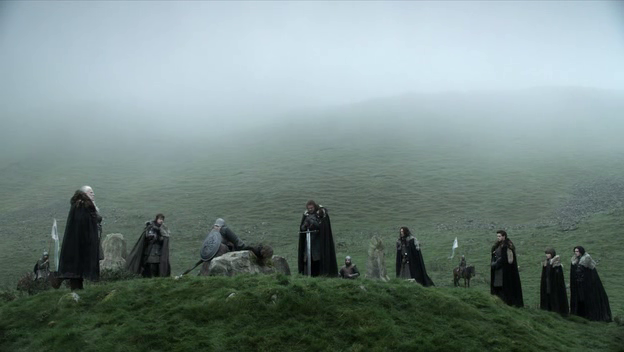 Well, it will definitely look like Middle-Earth, because Boromir himself, Mr. Sean Bean, is one of this series' lead stars.